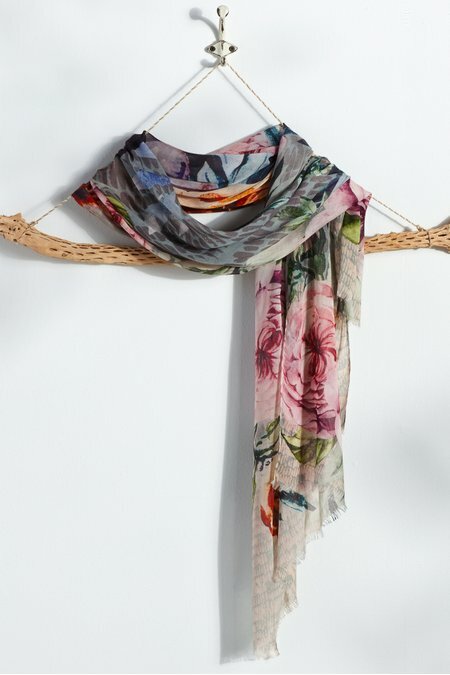 As lovely as a lush garden seen through the lens of a deepening sky, this soft-as-silk scarf radiates pure enchantment. In a luxurious longer length, it celebrates the beauty of the season year-round. 36"long, 26" wide.